Wayne State University Press, 9780814344965, 104pp. Firmly rooted in the dramatic landscapes and histories of Michigan, Field Recordings uses American folk music as a lens to investigate themes of personal origin, family, art, and masculinity. The speakers of these poems navigate Michigan's folklore and folkways while exploring more personal connections to those landscapes and examining the timeless questions that occupy those songs and stories. With rich musicality and lyric precision, the poems in Field Recordings look squarely at what it means to be a son, a brother, an artist, a person. Inspired by the life and writings of famous ethnomusicologist Alan Lomax, Field Recordings is divided into three sections. It is anchored by a long poem that tracks Alan Lomax on his 1938 journey through Michigan collecting music for the Library of Congress. This poem speaks to the complex process of recording the voices and stories of working-class musicians in Michigan in the early part of the twentieth century. It is rich with the pleasures of music and storytelling and is steeped in history. Like the rest of the collection, it also speaks to the questions and anxieties that, like music, transcend time and technology. 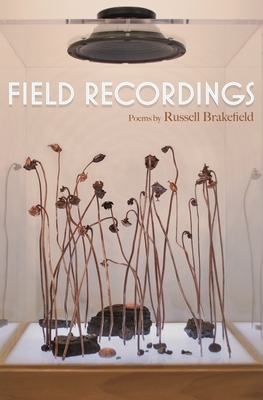 In poems alternately elegiac and rhapsodic, Field Recordings explores the way art is produced and translated, the line between innovation and appropriation, and the complex, beautiful stories that are passed between us. From poetry readers to poets, music fans to musicians, this collection will undoubtedly appeal to a wide audience. Russell Brakefield received his MFA in poetry from the University of Michigan's Helen Zell Writers' Program. His work has appeared in the Indiana Review, New Orleans Review, Poet Lore, Crab Orchard Review and elsewhere. He has received fellowships from the University of Michigan Musical Society, the Vermont Studio Center, and the National Parks Department.